Do you like Scary Movies? 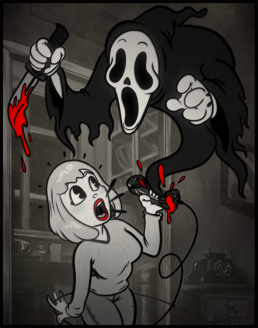 The Ghostface Killer slices his way through my merry murderer’s slasher series. Prints are available on 11″x14″ 100 lb cover matte paper and come signed by the artist.